Eddie Bocanegra, AM ’15, had a goal when he enrolled at the University of Chicago School of Social Service Administration. 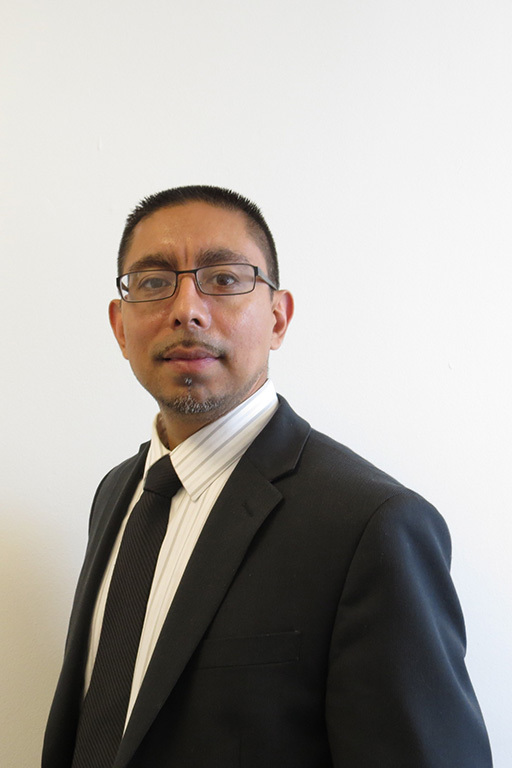 Bocanegra, a native of Chicago’s Little Village community, chose SSA because he wanted to create bridges between the communities where he works and institutions of privilege such as the University. “By being part of an institution that is held in such high esteem, I hope to advocate for access to higher education at UChicago for students from minority communities, which typically face barriers to continuing their education,” he said. Eddie, who has experienced violence from both sides, is an ex-offender. He received a Laurence Lynn Fellowship to support his studies at SSA as a Social Administration student who is also in the Violence Prevention program of study. He earned his undergraduate degree in Social Work from Northeastern Illinois University. He worked with the Chicago CeaseFire organization and was featured in the film, “The Interrupters.” Eddie said he came to realize that simply fighting violence through direct intervention ignores the urban poverty, inequality, and exposure to trauma that are at its root. “When violence is treated like a symptomatic behavior, then the treatment penetrates at a superficial level,” he noted. At SSA, violence prevention served as the unifying theme of his research and his field work. Eddie supported two research projects: Urban Warriors, a peer support group that brings together combat veterans and at-risk youth who have experienced trauma, and Social Media and Gangs, a project that examines content on such media as Twitter, Facebook, and YouTube in the attempt to distinguish credible threats from social media dialogue. He worked with Grady Osten-Gardner from the Adler School of Psychology on the first and with Desmond Patton, PhD ’12 from the University of Michigan School of Social Work on the second. For his field placement, he worked with Enlace Chicago, an agency dedicated to making a difference in the lives of Little Village neighborhood residents by fostering a safe and healthy environment. Eddie worked directly with the agency’s executive director, Michael Rodriguez, AM ’07, on violence prevention programming. His academic work included courses in violence prevention, and trauma and resilience. He credits a number of SSA faculty with helping him build on his personal experiences to succeed academically at SSA, citing Dean Neil Guterman; faculty Waldo E. Johnson, Jr., Charles M. Payne, Harold Pollack, Gina M. Samuels; and lecturer Mark Sanders. In addition to his academic accomplishments, Eddie worked as the co-executive director of Youth Safety and Violence Prevention of the YMCA of Metro Chicago, a position he has continued since his graduation. “I hope that my work there will bring me into contact with leaders in the Cook County Sheriff ’s Office or the Illinois Department of Corrections. I am very interested in developing programs to help current inmates and returning citizens.” He indicated he also is considering the possibility of working for a foundation in his next career move. In looking forward to working in violence prevention, community safety, or criminal justice, Eddie said, “I have built upon my life experience to establish a professional career in working with victims and perpetrators of violence.” By looking at the root causes of violence through a social work lens, Eddie wants to instill hope, providing inspiration, optimism, and especially solutions.